The 2018 Ford Explorer and the Chevrolet Tahoe are two of the best-known names toward the larger end of the SUV spectrum, so let's see how the latest versions stack up against each other. It would be a bit of a push to say the Tahoe is a particularly attractive vehicle, but that hasn't done much to dent the popularity of the Chevy or its longer wheelbase version, the Suburban. The Tahoe sticks with a big, square and imposing presence as its main point of visual attack, and this Chevy doesn't do badly with buyers as a result. Even though it's been around for eight years in pretty much its current shape, it's hard to ignore just how much more contemporary the Explorer looks when compared to something like the Tahoe. Its sloping front fascia and sporty silhouette are a lot more pleasing on the eye than the more traditional SUV lines of the Tahoe. If the exterior of the Ford has aged incredibly well and looks as good today as it ever has, the interior tends to give away the years a little more easily. There's an absolute ton of space inside for passengers and cargo, but it's not as flexible as more modern interiors and the comfort, and quality of materials isn't quite as good as some of its latest rivals. Although there's a lot less room for third-row passengers in the Tahoe, those in the front and second rows do at least as well as they would do in the Ford. As standard, the Chevy accommodates up to eight people, as opposed to the Explorer's seven, and there's an upscale feel about the cabin of the Tahoe the Ford just can't top. From the get-go, the Ford has an advantage, as it's available with three different engines instead of the Tahoe's two. The base engine is a more than capable V-6, and then there's a modern turbo-four. Best of all, even the most power-hungry customers can't fail to be impressed by the 3.5-liter twin-turbo V-6 that puts 365 horsepower and 350 lb.-ft. of torque at the Explorer's disposal. There's even more power on offer from the Tahoe, but weighing in at over a thousand pounds more than the Explorer, the Chevy certainly needs it. The standard unit is a 383 horsepower 5.3-liter V-8, and then there's the 6.2-liter V-8 option for the Premier trim that boasts 420 horsepower and 460 lb.-ft. of torque. 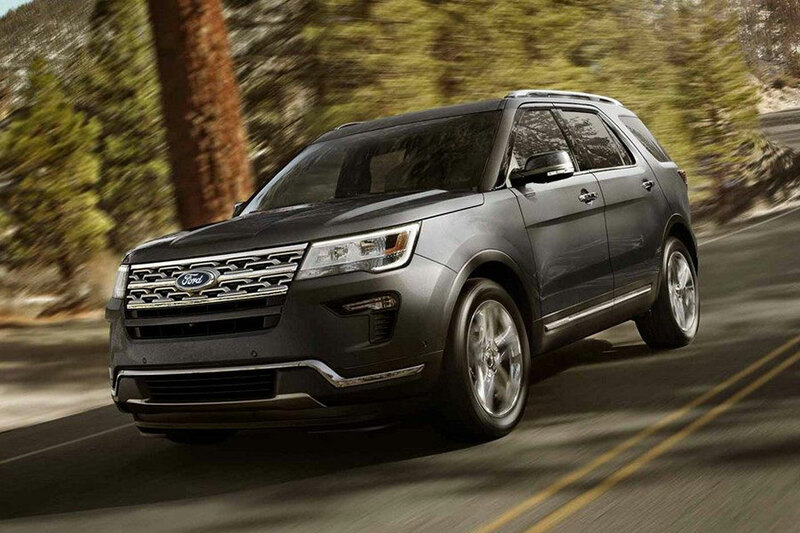 The Ford's extra engine option and the performance delivered from the modern twin-turbo V-6 makes the Explorer more of a driver's vehicle than the Chevy. Chevy doesn't struggle too hard to find buyers for the Tahoe, but it's a brash, no-compromise beast that appeals to a certain audience. 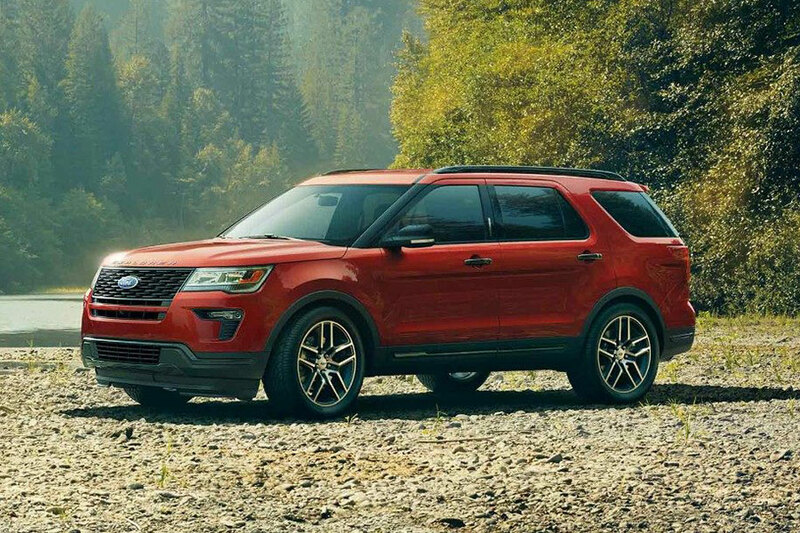 The more modern styling and more up-to-date engines in the Explorer mean the Ford is definitely the one we'd recommend here, and that's even before getting to the huge price difference that makes the Explorer look like a real bargain in this company.